Hi guys, this is the first jam that I joined. 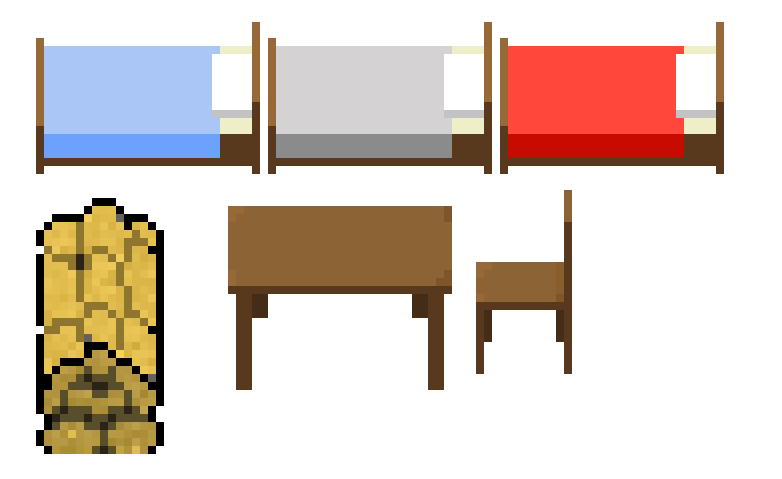 The game that I'll be making is called Pavlov's House and is based on story from WW2, here's a Wikipedia link if anyones interested. As for the mechanics it will be kinda like a mashup between tower defense and survival games, where enemies will come at you from all sides in waves and you will have to defend against them while managing your limited resources. I'll be working on this game even after the jam ends but those are the things I plan to finish for the jam. Apt choice of setting for those two game genres! There's a board game about Pavlov's House (only tried it out in tabletop simulator). Excited to play your game, I enjoy resource management games and td! Since I forgot to post yesterday's progress I'll do it now. Btw, I'm working in Godot and find the Top-Down Tank game tutorial on youtube to be rather useful for making this game. Here we go Day 3. So if anyone has some suggestions, recommendations or any articles or tutorials that they found helpful, I'd appreciate it if you shared some with me. P.S. Since I got a good grip on the programming side of things, my goal is to try to get better at making art for games, That's why I'm delaying having to use free assets from Internet as much as possible. That thing in the bottom left corner is supposed to be a sandbag cover, but I'll probably redraw it. These are the placeholder sprites from day 1. Well as for the last few hours I've been thinking about how to do path-finding, so thats what Update 2 is going to be about. 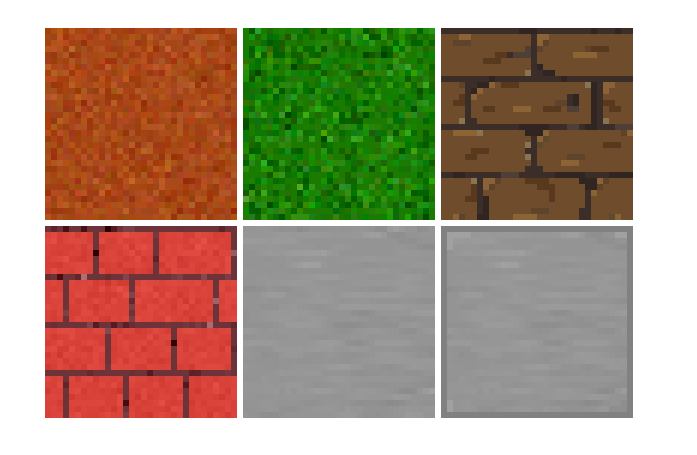 For pixel art I'd say get references. Tutorials are good to a point, learning some techniques, but I think if you look for what you want and try to copy you will get better results than trying to find a specific tutorial (unless you need to learn the painting software too). If you use Aseprite, you will see it has a lot of palettes. Choose one and stick to it. Try to solve everything in your game with it. I'm not experienced, but I think my art is better when I limit myself to a few colors. A 16 color palette is enough for retro. If you want something more complex, 32 colors will be enough mostly. And I say to get a preset because it is something vastly used and works for most of the games. Keep your sprites small. This one I mean for efficiency, considering the deadline. 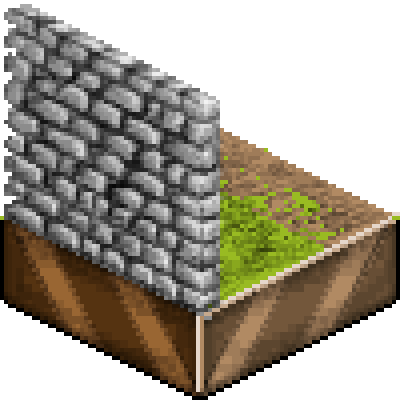 I'd say don't go bigger than 32x32 or you will have hard time drawing everything. I'm not a pro, but I've been using those rules when making pixel art and I've been happy with I achieve (I don't intend go pro, but I try to improve my art each game I do). I enjoyed the beds btw! Good luck! Thanks for the advice. Aseprite looks like an useful tool I'll check it out. I wanted to post an update in here about my progress with pathfinding, but it is one hard nut to crack. I was able implement a functional system but it's still rough in the edges. Here are some gifs of how it works. Great progress! I really like the theme. If everything will be top down view, I wonder if 2.5D walls might look odd? When I started making this game I didn't really know whether to make a top-down game or 2.5D (isometric) one, heck I'd actually want to try making both of those, but thinking about it for some time, it might be better to make a top-down style game for this jam and I can always revisit this idea and make a 2.5D game, or even bump it up to a 3D one, who knows. But for now I'm making a top-down game. For day 5 I'll do some world building, mainly placing down buildings and streets. If there is enough time then I'll start work on the resource system. Only later on in development process will the pathfinding system be revisited. I wasn't able to put much hour into working on the game today, but I made some progress on making the game map and I'm trying to make it as similar to the actual location where the story took place as possible. Love the game so far. The progression for the project is huge. Thanks, I'm trying my best, even though there were a few days where I didn't do much, but still I'm happy with how it's going. Wow, It's been a few days since I last checked on your project and boy! there's a ton of really good progress! Thanks, I'm happy that you're enjoying reading this devlog. wow nice job on getting functionality down early! i also agree with keeping assets and visual designs simple (at least for the scope of the jam!) i think topdown for everything would be easiest to read. i also like the revamped UI--it looks very legible having all the info in one place. Thanks, I've most of the major game mechanics down so there will probably be a demo ready soon. Yeah I kind of forgot to post for day 10, but I didn't do much anyway, just some contemplation about the game music. I'm think of having two soundtracks one for during battles and the for other situations. There will at least be a battle soundtrack, and I really wanted to use some action-pumped music, but then again, this is a kind of game where you hold out in a fort and enemies come charging at you, so maybe I'll later make an action game that will get your blood boiling from adrenaline. First I thought some more about music, looking through all kinds of tracks online, and I'm also having someone help me with making the music (well they're doing the making part, I'm just listening to it). Then sometime later I started cracking on the UI. Making one of those is really a nightmare, stuff just doesn't do what you tell it to, for some reason there's that weird 6 pixel margin on the left side of screen that I cannot get rid of and adding new parts is really tiring. Then after deciding to watch a tutorial and it seemed like it made sense now, everything was working as intended, that pesky margin was gone. But then I clicked on the maximize window button and everything broke apart. I looked for some tutorials about this and tried following them. Nope, still broken. Lets turn that off for now, I'll return to it ... someday. Anyway after the UI, I went to work on pathfinding and that went well, I used the AStar node that Godot has and made a script that automatically scans the tilemap and picks tiles that are walkable and makes a graph, and now I can get a good path between any two points on the map, as long as the path exists. P.S. I added raycast tests so that units don't try to shoot through walls. Damn three more days till the end, time to start panicking. 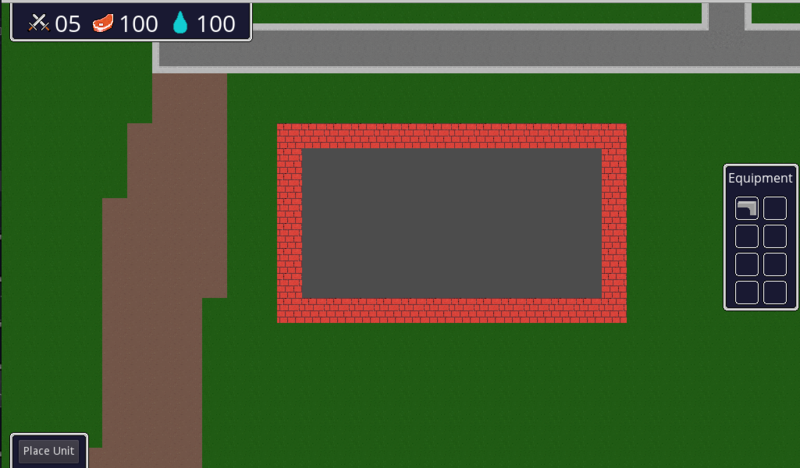 As for today, after rewriting most of the functionality for units movement with pathfinding seems to be working now. Here that gif that I promised. 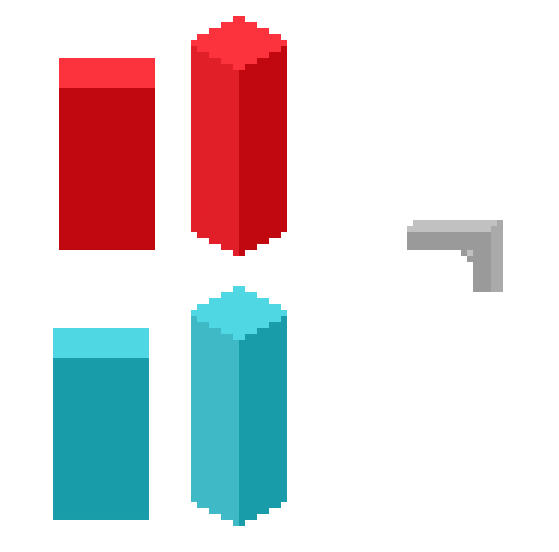 This was the last mechanic that I planed to include for the duration of the jam, except for including objects like that box in the middle of the building into pathfinding calculations, who knows I might fix this before the jam ends, if not then you'll just have to pretend that it's normal to walk through an object until I fix it post-jam. You've done some great work here! Way to be steady with the effort. It's really paying off. I look forward to giving it a go! Wow, it's getting tight with time. Plus having stuff IRL isn't helping. I submitted the game. I didn't take it as far as I intended, there is still a lot to add, but I learned a lot of things and lots of fun making the game and meeting other jammers, you're great guys. For now I'll be taking a short break from game dev, I'll probably start playing games others have submitted. I'll still be working on developing this game just not immediately.